Il Best Western Paradise Inn è situato nel centro di Corpus Christi. L'hotel è vicino alle principali attrazioni turistiche. Approfittate tutto l'anno del miglior prezzo garantito e di offerte esclusive. 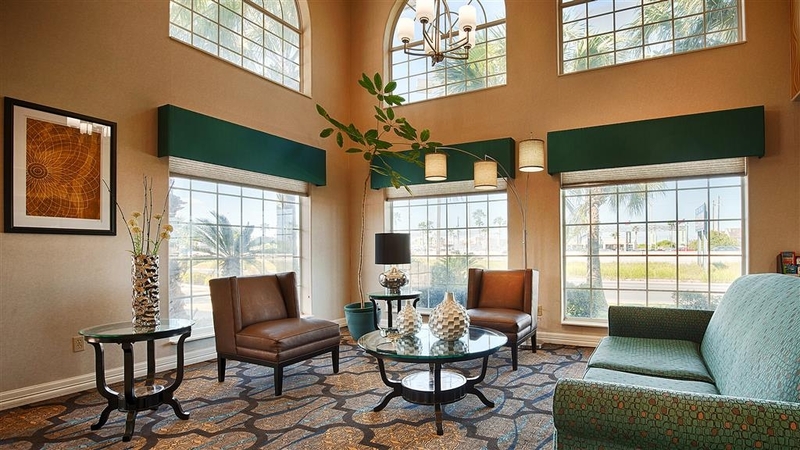 Quando visiti la Gold Coast del Texas, soggiorna in questo hotel di Corpus Christi, situato ad appena tre chilometri dalla baia di Corpus Christi. Il Best Western® Paradise Inn vanta una posizione ideale: i nostri ospiti potranno rilassarsi sul luminoso golfo del Texas ed apprezzare i numerosi ristoranti e centri commerciali locali. L'hotel consente di raggiungere facilmente importanti attrazioni come l'acquario dello Stato del Texas e il museo della portaerei Lexington. A soli dieci minuti dall'hotel si trovano bellissime spiagge e zone di pesca nel golfo e a otto chilometri sorge la Texas A&M University. Tutte le camere, spaziose e ben arredate, dispongono di accesso gratuito ad Internet ad alta velocità, televisione via cavo/satellite con HBO®, bollitore per tè/caffè e ferro e asse da stiro. Tutte le mattine gli ospiti del nostro hotel di Corpus Christi vengono accolti con la colazione continentale deluxe gratuita. Gli altri servizi dell'hotel includono una piscina all'aperto, quotidiano gratuito nei giorni feriali e caffè gratuito tutto il giorno. Vieni a scoprire l'ospitalità e il servizio professionale del Best Western Paradise Inn di Corpus Christi, Texas. 1 night stay. Room stunk. Toilet was loose on mount and rocked from side to side to the point we felt it might tip over. To be fair to the hotel we noticed the stink immediately and thought the room was just musty and needed to be aired out. We went out to eat and came back late and found the toilet issue. A bit too late to change rooms. As long as the bathroom fan was on and the bathroom door was closed the room smelled ok. We left the fan on most of the night. The staff were all great. We reported the smell and toilet issue on checkout in the morning. The breakfast was great. The room was clean. I would not have made mention about the smell if other guests had not complained about the same issue in reviews over the last couple years. They apparantly are not dealing with the problem. You should not have to complain at the desk about an odor issue. The staff should deal with rooms that smell without guests having to complain. We will not stay there again. "The only place to stay in Corpus"
Loved our stay. The room was great with all the comfort of home. And having a full breakfast added to the feel. The staff went above and beyond to help with any questions. We were centrally located to every event we wanted to do. And even had a way to exercise with frat sidewalks. Would reccomend. 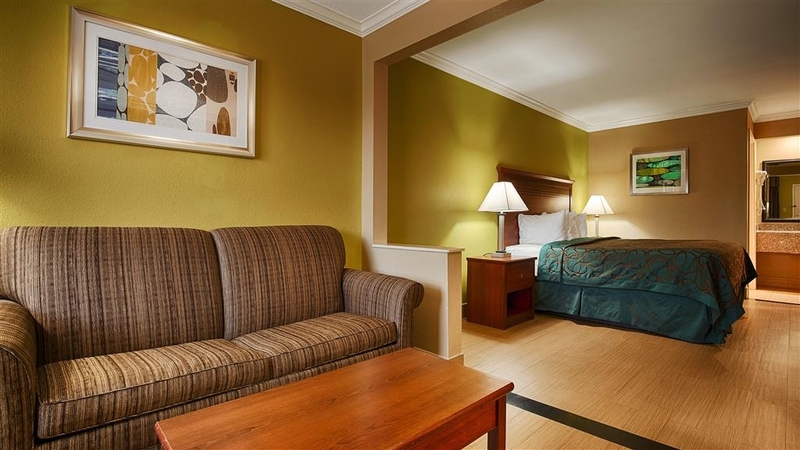 We were staying just the one night in Corpus Christi so I stayed in the Best Western with the best rate. It was great for what we needed and we even had TV with our usual channel line up. Very adequate and clean for our needs. The only problem was a loud bathroom fan, but it wasn't on very long. I'd stay here again in a heartbeat! A few months ago, I stayed there and had a bad experience to where I had to switch rooms. I received an email afterwards to complete a survey which I detailed my experience. I received another email shortly after that from the asst mgr at the hotel saying if there is anything they can do for me, just call. 3 months later I did. I called asking for a better rate, and he quoted me $10 MORE than the going rate on bestwestern.com! He wouldn't budge, so I told him nevermind, I'll stay somewhere else. It's funny how Corpus Christi has the best and worst BW I've ever stayed in. BW Bayfront is the best, BW Paradise Inn was the worst. Believe me, it's not a paradise. I would like to apologize for any inconvenience regarding rate you have been quoted. Can you please call us at 361-992-3100 so We can resolve the issue. Thank you. "Great Place to stay for a day or a year!!" I stay here because it's close to everything Fishing, shopping, dining out, walking, the malls are near by. Food can be delivered to the room. The staff here are like family. They will go out of the way to make your stay a great one!! Don't waste your money. 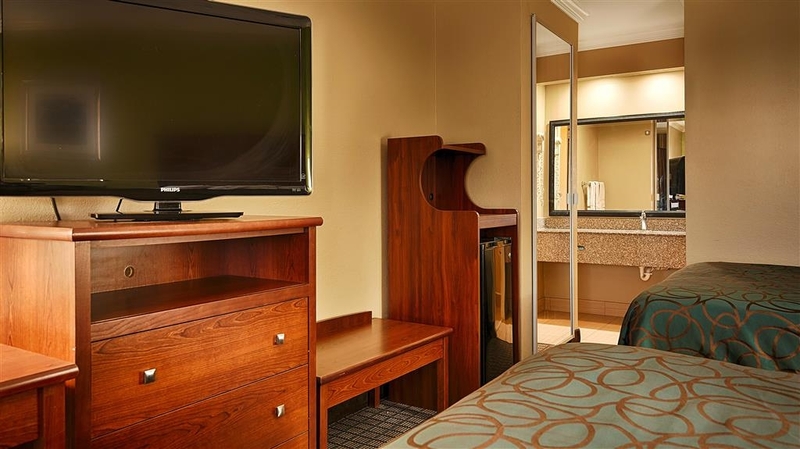 Motel Six is a clean, more restful, better deal. Room stunk. Musty, moldy, smelled of old cigarettes. Loud. Guest had to slam the doors to shut them because of the door locks. All night long, bang, boom, no sleep. Good place to stay at with clean rooms, comfy beds and friendly and helpful staff. Location is also near a lot of restaurants to eat and the Las Palmeras Mall and shopping centers. Also a really safe location, specially for contractors. "Great location for those who don't mind the driving. Great nearby fishing spots"
Nice room, comfy beds, clean.. I'm glad our room was downstairs because they were too dark. Also room was quite. Breakfast was good. We didn't mind driving so location the location was “perfect”. We would stay there again. The most affordable BW in the area. We were only about a 15-20 minute drive to the beach and price was much lower than hotels closer to the beach. Excellent resturants and shopping near by. Other attractiopns m Corpus were within a short drive. the a/c was COLD! The room was well appointed and comfortable. The staff was very helpful and a pleasure to interact with. As a regular business traveler, I'm appreciative of a facility that knows the business and performs to standard. 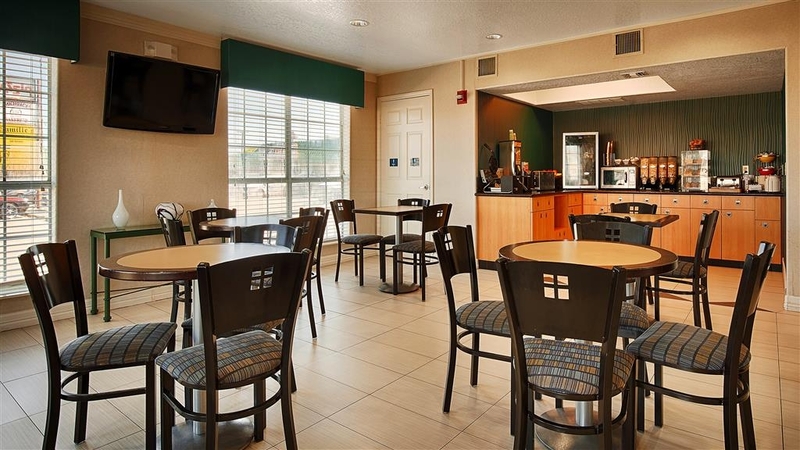 Best Western has made a marvelous transformation of their brand from previous experiences and I hope they are diligent as this facility at maintaining this improvement! Pros: Beds were comfy and breakfast was good. Plenty of options and the area was clean. Staff was nice and friendly. Cons: Looks like a resort but smells like a truck stop! Stairways are dark and smell horrible. Parking was ridiculous, we had to squeeze in between two big work trucks and barely made it! Room smelled dingy and the AC room a few hours to start cooking. Never stay there again. Computer in the business center is about 30 years old and doesn't work and the rooms stink. I will never stay here again. The location is the only good thing about this hotel. I hated it. This hotel is clean and very nice. 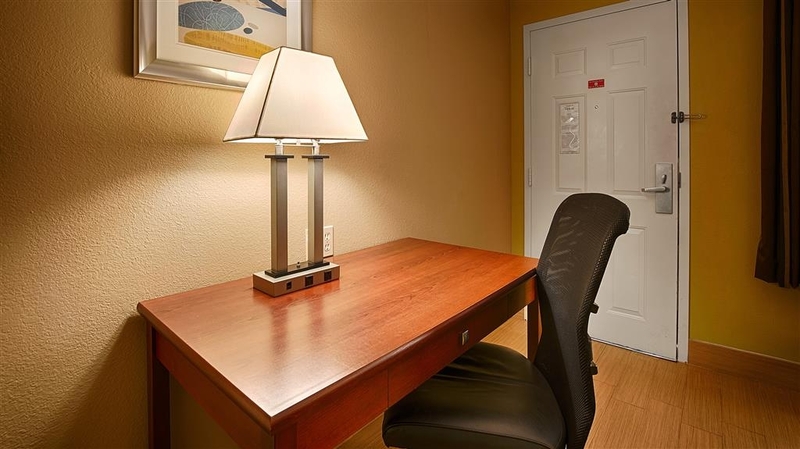 Room have been updated there is NO carpet Bed are super comfortable Karen is at the front desk and she is super helpful and makes for a great experience. We will be back!!! "lots of noise, cramped parking"
This is more motel than hotel. There are no Elevators so if you stay on the second floor you will have to use stairs. We checked in with Karen who was super friendly. 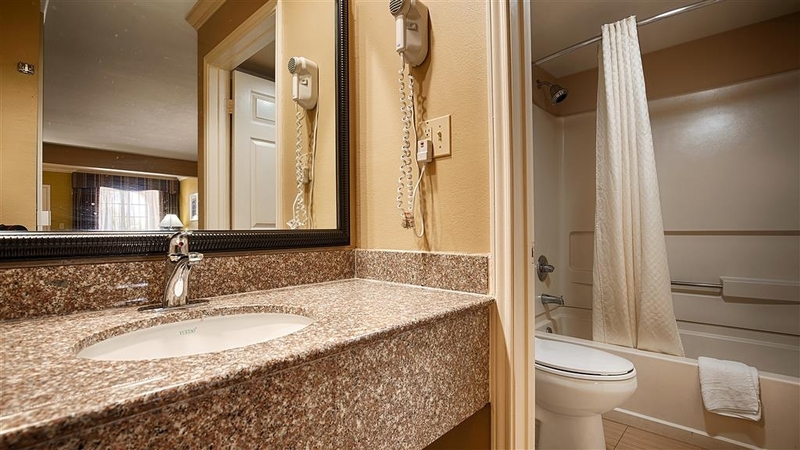 Rooms were a bit cramped and the bathrooms could use some deep cleaning and care and new showers/tubs. The noise levels were terrible, lots of highway noise, slamming doors and you could hear people talking at all hours of the night through your door. The AC wall unit was also noisy. Beds were alright but you could tell they had seen better days. Breakfast was a decent layout of hot and cold items and plenty of seating. Given the price I would not stay here again. If you are working on a budget and need a couple of nights this would probably be ok. It is more of a motel than a hotel, we quite often found small bugs running around the room and the swimming pool urgently needed a clean. The place was full owing to people being housed there from Port Aransas after Hurricane Harvey and a lot of workers there repairing damage. Room was big and bathroom was ok, beds were big and comfortable, cleaning was good and room smelt clean and always looked tidy but it is in urgent need of modernisation and painting, With all the workers etc there it could be a bit noisy especially first thing in the morning as all rooms are very close to car park. "No elevators! So request first floor if you can't carry luggage upstairs. This is more motel, than hotel. Expensive." Will not stay at this location again. No elevators made it difficult to carry luggage up to second floor. Breakfast was not kept up. Hot food were not kept filled. I took the last of bacon, left the last of potatoes for my niece and neither of us got eggs. Don't bother staying here. They have dirty old rooms, linens are old and yellow, staff, for the most part, are unpleasant. It seems to be a party hotel from dark til daylight. Would not recommend for anyone to stay here. "Taking advantage of hurricane victims"
In the aftermath of hurricane Harvey this hotel had no internet, no cable, no ATM, and no way to process credit cards so payment had to be made in cash. In spite of all these problems, the hotel was still charging full price. The rooms were clean, beds comfortable. A pretty good breakfast. 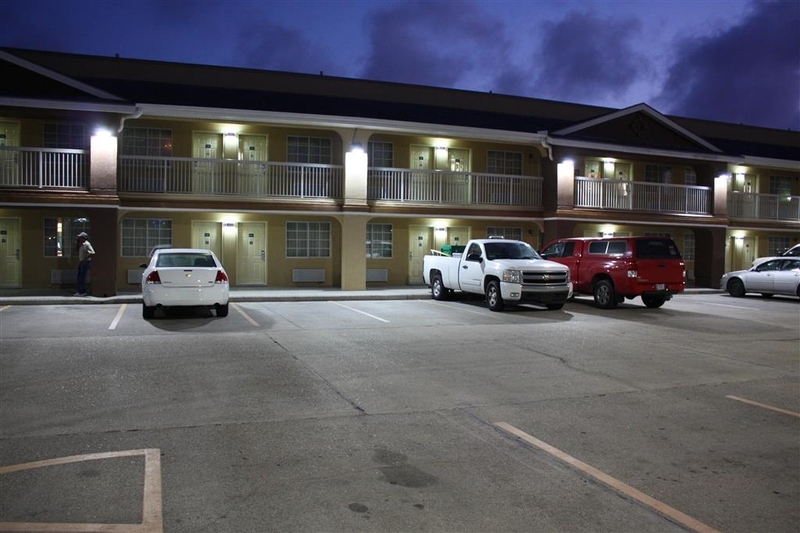 This hotel is very convenient to both North Padre Island, Port Aransas and downtown Corpus Christi. The staff are very friendly and very helpful. Quick one night stay but was a good experience. Room was very clean and AC worked great! Will stay there again. Price was very affordable and a good location right off highway. Staff was friendly. Next time will make time to check out the breakfast. Nice and clean . Could not complain if I wanted to. One of the nicer hotels I've stayed in while at the coast fishing . Front staff was very friendly . Room was clean and comfortable. Will definitely stay again while in the area. I stay here weekly. I'm greeted by my name with a smile. I'm asked by the current desk clerk if the room meets my expectations. I receive a wake up call on time. If I font answer the wake up call, it calls again. Staff is very friendly and helpful. Hotel was clean. I loved the fact that they had a washer and drier for guest to use free of charge. 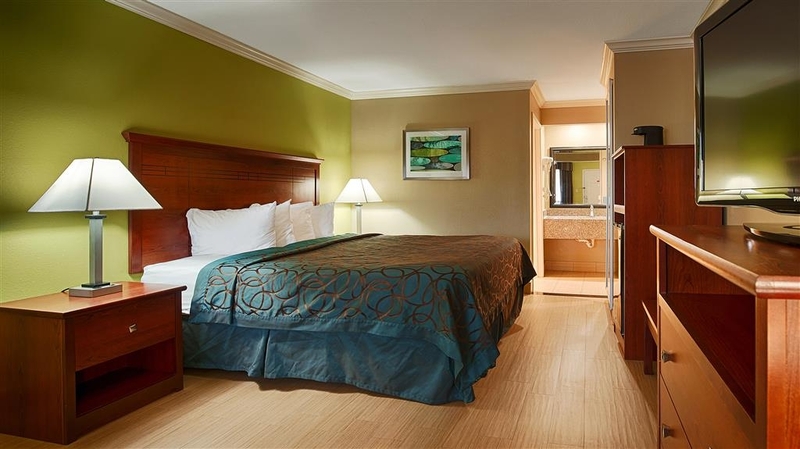 Great hotel, nice pool, great location close to a lot of great restaurants. Location of hotel was great! Many stores/food/restaurant in the surrounding area. Location of hotel was close to Whitecap Beach - can drive car on the beach. Hotel room was reasonable for beach kind of weather - i.e. tile floors instead of carpet. One negative about this room was upon arrival, it smelt strongly of cleaning chemicals. The staff was wonderful, including the cleaning lady. Thank y'all so much for a fabulous stay. My husband and I went for a nice get away and it was a pleasure to stay at your motel. Thanks again for everything. See you next time. Nice place to stay when you are going to the National Seashore. It is located near most any type of restaurant you could want, plus big grocery stores. In a town that makes its' living by charging all they can to tourists, this is a reasonably priced hotel. Staff is very nice, property is clean and fresh. 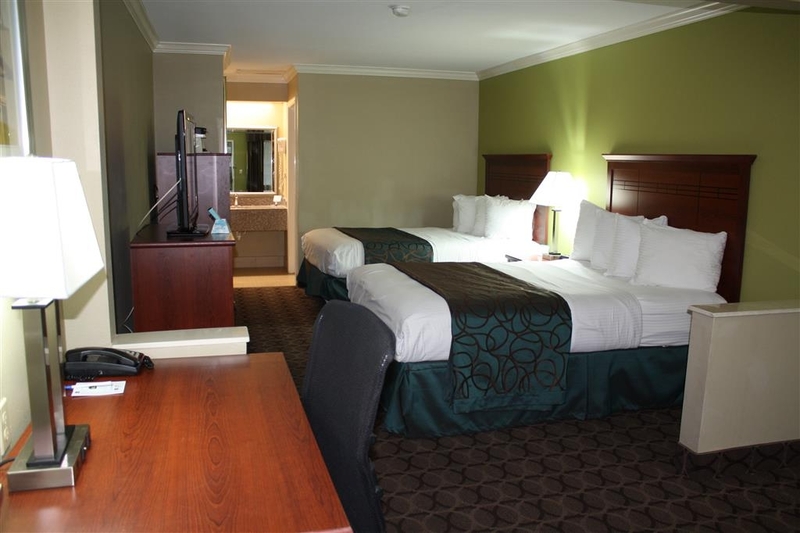 I enjoyed my stay at the hotel it was very clean and the staff very helpful. breakfast was good and I liked the WiFi. They have a pool that was present to use it was clean and quiet. The only issue I had was the smoking corner upstairs in the hall by stares and window. It was anoyung having people standing out side rooms smoking all hours of day and night, it would get in room as you would come and go. I would strongly recommend the hotel it was very nice except for my one issue. We were told it had been remodeled sometime back..I asked the maid for shampoo as only 1 in the room. That's all they are allowed to put, no conditioner or lotion. The coke machine only takes change, no paper dollars.The a/c did not function properly as to the reason most of the people kept their doors open till late. The bathroom is small & the door had to shut hard to close. We had enough points for our second night, however, the beds were not comfortable, so we packed up and left about 7pm & headed home. 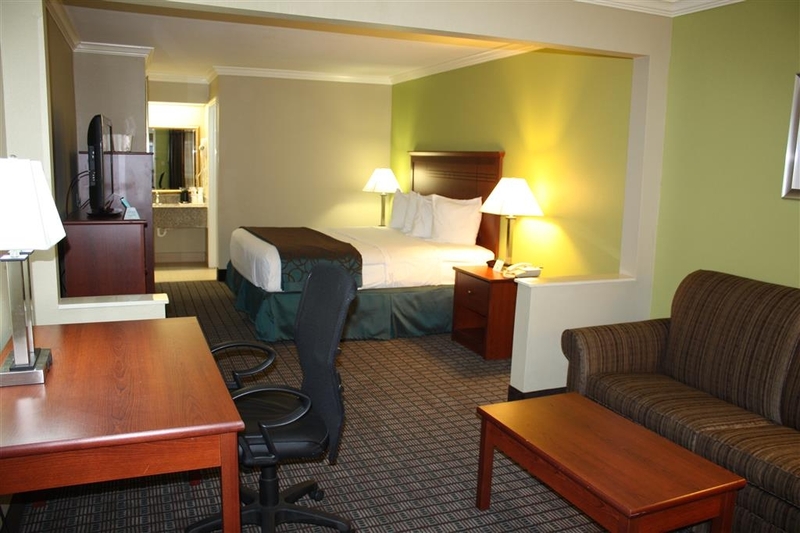 We are members of the Best Western but will not stay in this one again when visiting family. The La Qunita next door seems ideal. sorry guys. We where there for the beach. It was located in a wonderful area that had access to pretty much anything you would need. We where only 10 miles for access 6 for Padre Island, which is the last for many miles and the best access for the area by far. The floors are tile because of the sand and storms for cleaning purposes, but it made for a nasty floor really fast. I hate my feet dirty. But, other then an issue I took to the desk clerk and I believe was the owner, we had a wonderful time. 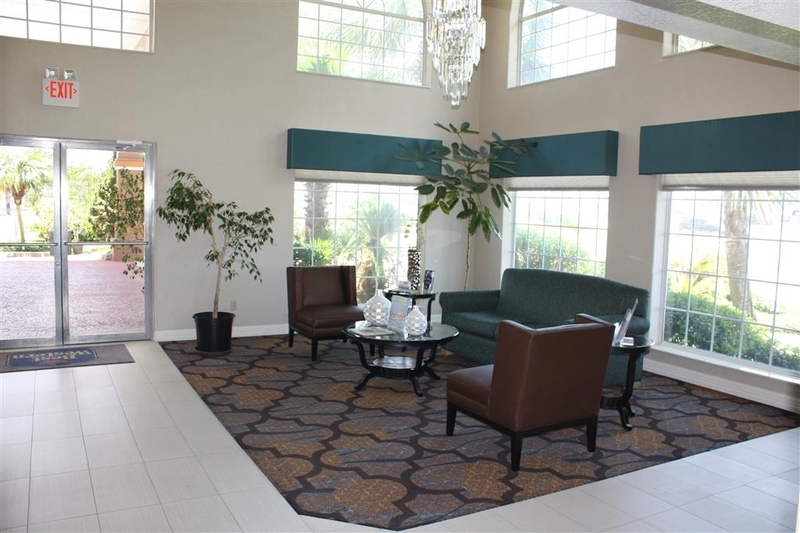 Easy access to restaurants and shopping...not to far from either beach. You could go to south padre island or head North to the beach by the Lexington and the Texas Aquarium either way its just a short distance. "Not bad, could have been better." They make an honest effort to make your stay comfortable. 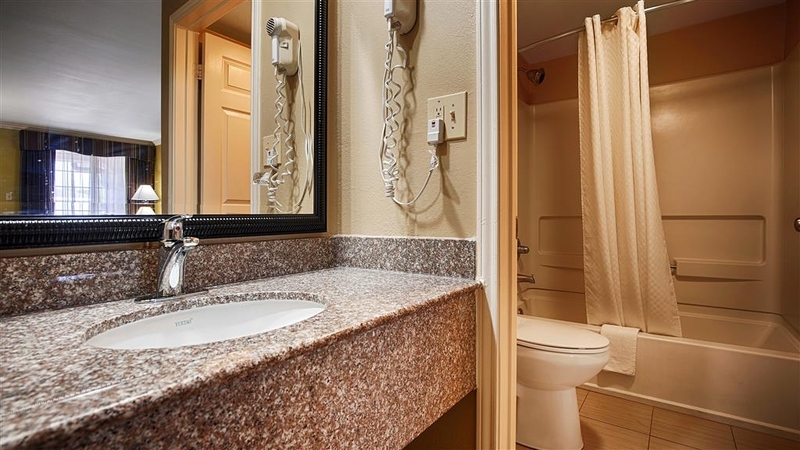 If not for a couple of bugs in the restroom, less than fresh comforter, and tiny bath soap bar the room was fine. In spite of a few typical shortcomings, I would stay there again. My family and I took my son for his college orientation at Texas A&M when we walked in my wife noticed the restroom had someone else's hair on the floor also both the wash shink and the bedroom tube were clogged. We recently visited TAMU-CC and we stayed at the Best Western. Great service and value! Desk personnel changed our room from smoking to non-smoking without any problems. Highly recommend this Hotel! And, it's right off the freeway! We were able to acces local restaurants and movie theater. 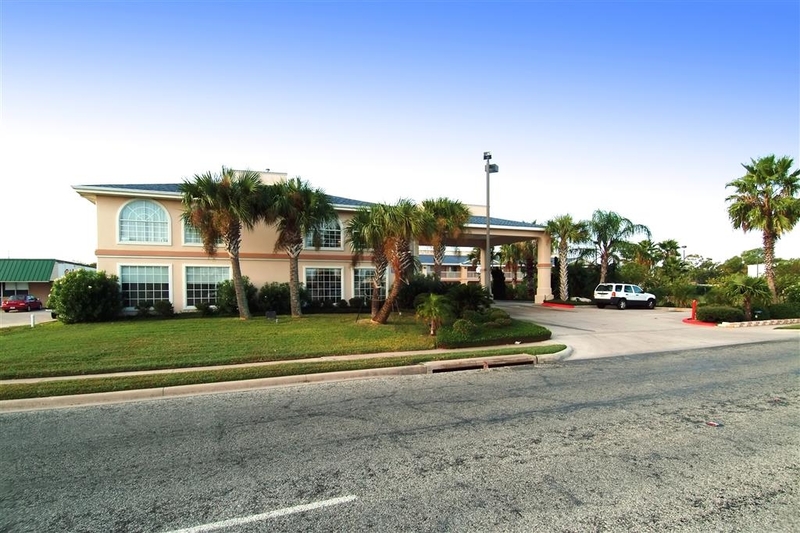 This hotel is very conveniently located by the side of South Padre Island Boulevard. Easy access is perfect. Very clean, is satisfying when you first enter your room. 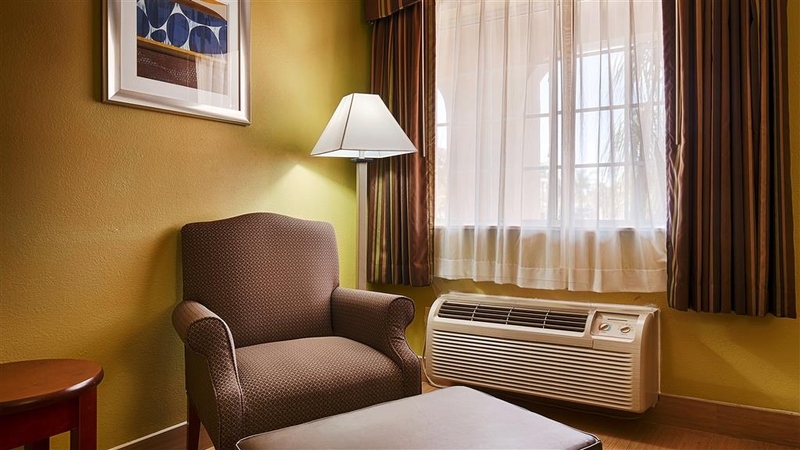 Great air conditioning equipment allows the guest to have a comfortable stay all the time spent there. The complimentary breakfast was very good also, with a good variety of items for all tastes. 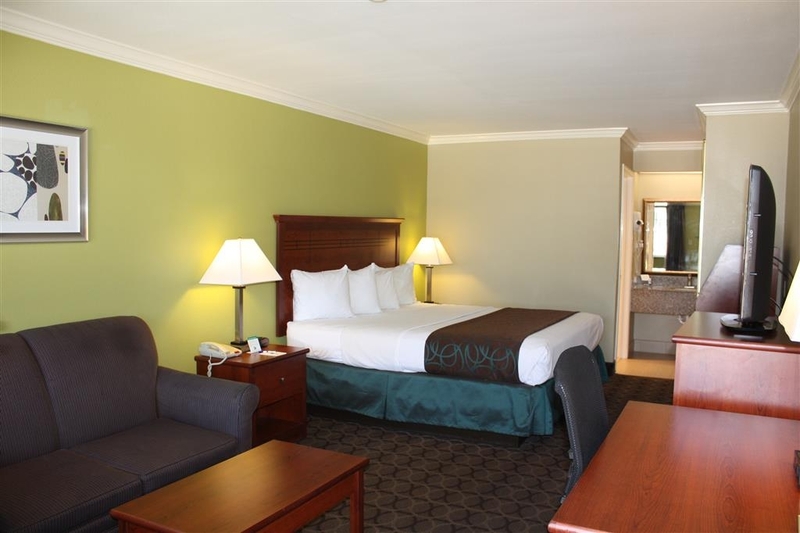 "Great proximity to the beaches"
We chose this hotel because it is in a great location. It's close to restaurants and gas stations but not right on the island. Plus I am a BW member so I can use my points. The hotel has been recently remodeled so the lobby was nice. But the rest of the hotel was just average. However it met our need for one night stay. The rooms were cigar and musty smelling. Bad gnat and fly problems. Room had roach bait stations on floor under sink, and on side of microwave. Carpet was dirty looked unvacumed. Bathroom dirty. Tv Remote didn't work. Clerk at desk told us she could check is out when we complained. "Did not sleep very well." I rented a room with two queen beds, both beds were very hard and uncomfortable. The pillows were hard and lumpy. Roaches came out from behind the big mirror in the dressing area. The swimming pool was dirty. The staff was very friendly and polite. Sonia Sanchez made me a forever fan! I called Best Western Paradise Inn from the hotel room of the nearby Howard Johnson, which actually had better reviews than your hotel. I am saddened to say that I had chosen their hotel over yours, but I'm glad that I chose to leave there and go to Best Western. I explained the horrors of my stay at the other hotel and asked to simply have a clean, comfy room and have people leave me alone to sleep. She was amazing and friendly, booked my stay over the phone, was incredibly helpful and pleasant and the list goes on! Traveling a lot, I have stayed at many different hotels, but none have left me satisfied enough to even remark on the hotel. Sonia went out of her way to make me feel comfortable, was more than willing to accommodate any request (even the corkscrew!) and even happily called me in the morning to remind me to get some breakfast. The best part is that you could tell that she's genuinely happy to help! This woman literally made me a Best Western Paradise Inn fan- I won't stay anywhere else on my stays in Corpus Christi, which are quite frequent. I'm thankful to have met Sonia and more than happy to say that this hotel not only met but surpassed my expectations. Clean Rooms, property, lobby, soft beds, high thread count soft sheets, plenty of pillows, plush towels, high quality toiletries, amazing breakfast, INCREDIBLE staff, great value and a very happy customer. Things to be aware of: the rooms are outside. I thought hotel always meant indoors. It was noisy, road noise, clothes dryer and voices outside were easily heard in the room. The non-smoking room smelled like stale smoke. The bed was hard. Things to praise-the staff..they were great!!!! The breakfast average. The pillows were nice! The rooms are clean. The decor is lovely. The tea selection is stellar if you are into that kind of thing! The room was nice. Only thing is we took the blanket off we saw blood stains on the bed took the sheet off. And woke up more little blood stains. Was grossed out also told the lady when I checked out didn't seem to care much..
"Overall Good - but no late check out"
For the most part this was a good stay. The hotel itself is fine. The room was clean, and looked fairly new. The price is right and the location is excellent for getting to anywhere on the southside or the Island easily. My only issue was the lack of willingness to accommodate guests with late check out requests. Especially when the hotel isn't even close to being completely booked. We were in town for a 5K on the island. Check out was 11am. By the time our race ended and we got back to the hotel it was already 10:30 am. When we checked in the night before, we asked if we could get a late check out - at noon...only an hour late. We wanted to be able to come back, take a shower after the race, and then check out. The guy at the front desk was adamant that they never allow late check outs and would make no exceptions. I rarely need a late checkout, but the few times I have asked other hotels for one, they have always been more than willing to give me an extra hour. So that was frustrating and didn't really make us happy. We ended up not having time to take a shower post race, which was pretty annoying. Not the end of the world by any means, but it was enough to give me a slightly negative view of this hotel. So if you are not going to be running an early morning 5K and have no reason to ask for a late checkout, then this hotel is perfect. But plan accordingly. If you have any reason to believe that you might need a late checkout then another hotel that is a bit more accommodating is probably a better choice for you. The 5K that we ran is one that I have run for 3 straight years. The first two years I lived in Corpus, so I had no need for a hotel. When we come back to run it for a 4th year, we will choose another hotel to stay in this time. I wouldn't stay here again even if you paid me and here is why: • The room reeked of mildew. • The shower drain is clogged, I was standing in 4 inches of water in no time... • The AC made an annoying loud inconsistent sound which kept me up. • The towels in my room were dirty. • The cleaning lady banged on my door uncontrollably before 10 on a Saturday and woke me up as if there was an emergency. I asked her to come back and she never did. • Breakfast on the weekend had practically nothing left by 9am and it's supposed to be until only 9:30am. I feel cheated for staying here, I don't understand why this place has decent review. Less than $100 room, close to everything we want. Clean, simple, nothing more needed. They do offer simple breakfast from 6-930. But I'd recommend exploring the to local breakfast spots. La palmera mall is right across the freeway, and HEB is only 10 mins away. Very clean, check in staff very friendly and helpful. Breakfast selections good. Need 2 more waffle irons had to wait to make waffle. Will stay here again. Vert convenient to places we wanted to visit. 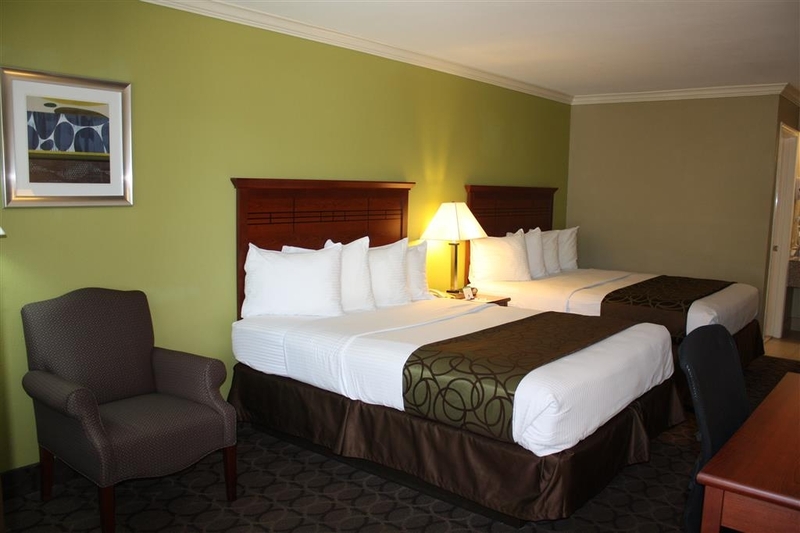 Very comfortable beds, clean and fresh feeling. The breakfast was supurb! The location was just right for us. The staff was friendly and ready to assist. The internet was very good. no problems with connection. I like the hotel, it is in a good location the only think I would say is they need to work on the breakfast and get a better variety of food. The pool is nice and the front desk staff is very helpful. Oh yes the bed is very comfortable. "Receptionist AWESOME (night shift 23rd of July)"
Lovely staff especially the receptionist we had at check in (greetings from Jamaica). Breakfast was good. No wait for table though the hotel was fully booked. The only con was the fact that there was an opened can of Dr. Pepper behind the sofa. Having worked in hospitality managing my department for 4 years (across various hotels in 3 popular chains) I'd defiantly recommend Best Western. We visited the property 3 years ago and enjoyed our stay. My little one wanted to visit Corpus for her fourth birthday so we decided to use Paradise Inn. We had a great stay the room was clean and the beds were comfy. The hotel is near the beach and pier. The free breakfast was good. They have a machine where you can make your own waffles, cereals, oatmeal, yogurt, coffee, juice, sausage,eggs, toast and bagels. My kids loved swimming in the pool. The only down side is there is no elevator. So if you have a lot of things to carry it can get tough taking it all up the stairs. We had a second room floor, we loaded up our bags in the beach wagon thinking we would take it up the elevator and when we couldn't find it my husband asked and then found out they don't have one. The rooms were nice. The hotel was clean and the staff was great. The location was close to where my business was being conducted. Breakfast was a joke. The only hot items were eggs and gravy, no meat items. I was going to eat bisquets and gravy, but when I went to get the bisquet, it had mold on it. I ended up eating breakfast at Denny's. The hotel was good. It does a hot breakfast which was good. It also has a pool. The only problem I can see it that it is not close to the beaches, but it is not a bad drive to the beaches on Padre. Depending where you want to go on Padre we drove it in 20 minutes. There plenty of restaurants around. They also have a washer and dryer you can use for free. "Beautiful on the inside and outside"
Hotel breakfast had hot free breakfast. Sausage, eggs, biscuits and waffles. The suite was roomy, updated and comfortable. The hotel is on a very busy and noisy road but we could not hear that on the inside of the room. Office staff were very kind, and accommodating. This hotel was clean and close to shopping and water. My stay was very good. The beach was a 5 minute drive. There was shopping and many restaurants nearby. I was on 5 minutes from my conference and really didn't need to use my gps. Everything is located nearby and the pace was very laid back. I enjoyed my stay and would stay there again. Outside appearance of hotel looks good, but I rented two rooms full of problems. In one room the tub would not drain, lights were MUCH dimmer that neighboring room, A/C was struggling and phone was inoperable. The other room's door did not lock. Shelly was so cheerful when I checked in. She was always smiling, cheerful and was very helpful to me. 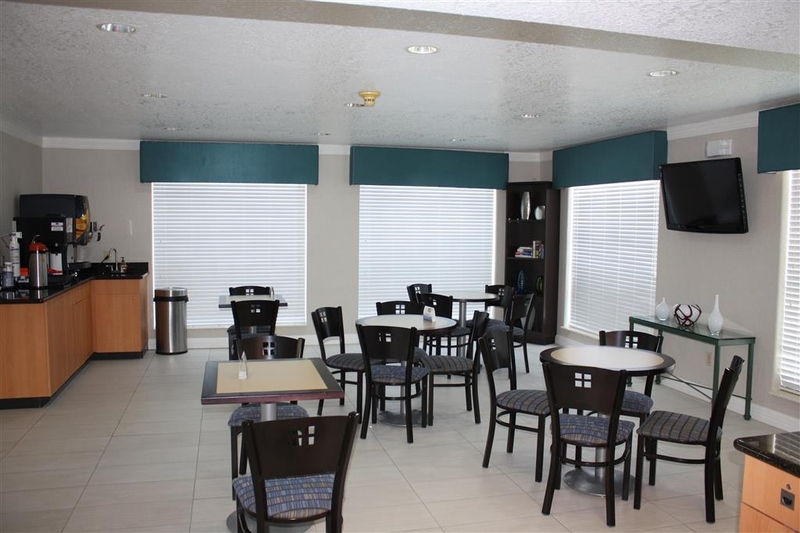 The Paradise Inn has always been extremely clean and the staff very accommodating. It's been that way every time I've stayed there. Booked a room at the hotel in preparation for attendance at a funeral the following day. At approximately 1030 PM, the power in the area went out. It was restored about an hour later. At approximately 1230 AM, the AC unit in the room failed. Due to the late hour; the fact that we had unloaded the car; and planned an early departure; we stayed in the room. During the funeral, got a call/voicemail from hotel staff. Returned the call later that afternoon and was told that someone would return my call. This did not happen. Was told by relatives who live in Corpus Christi that the area in which the hotel is located frequently experiences power outages. Will not stay at this hotel or in the general area again during our frequent trips to Corpus Christi. Windy187, It was unfortunate though that we fell short because of the A/C Failure and temporary power interruption though it is an isolated situation that we have had. We have taken note of these and we have already put measures to resolve this. Nonetheless, thank you and we hope to see you back again for us to have a chance to extend to you in your next visit whatever improvement we have out of your review. Vijay Jadeja Gen. Mgr. Our room was clean. Loved the tile floor so much better than carpet, new flat screen TV. Breakfast too elementary for us, but the basics are there. Bad coffee, that instant kind but we bring our own pot. Stuff was very friendly. Parking lot very well lit. Charben57, Thank you for staying with Best Western. We appreciate your business and we are glad you enjoyed your stay. Thank you for the wonderful compliments on our hotel and our wonderful customer service. We hope to see you again and We thank you recommending your friends and family to us. We wish you safe travels. Happy Travelers, Vijay Jadeja Gen. Mgr. "Great Location but bad room smell and dirty shower." Hotel is in a great location by the mall. Was late getting into the room and upon entering the room had an awful mildew/moldy smell. The smell was more than likely coming from the mold or mildew that was pouring out from behind the shower panel when I tried to take a shower. Bed was uncomfortable as well. Did not complain due to being exhausted and the hotel being sold out so no room swap would be possible. Thought about changing hotels but most other hotels were sold out as well. The only thing nosier than the traffic on the highway was the fan in the bathroom. Thin walls allow you to hear everything going on in the adjacent rooms. Seems to be popular with traveling work contractors. Lots of trucks in the parking lot. At one point I believe I was approached by a prostitute, Wow! The Staff at this location was extremely helpful. I enjoy staying at Best Westerns the prices are always good and the staffing always goes above and beyond. 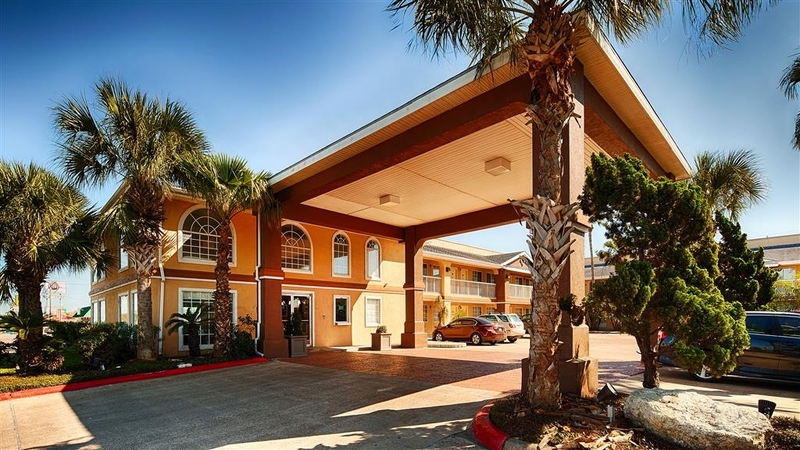 This location is not far from the beach and Port Aransas is a short drive. This is an excellent hotel. We will definitely be coming back. Upstairs room had a loud party until 4am. Did not get sleep, phone did not work, so I could not call front desk in the middle of the night. Very noisy freeway because hotel is just off the main freeway. We stopped in because we liked the location. Fast Check in. AARP discount. Room was clean and bedding nice. Nice breakfast in the morning. It wasn't their fault we had noisy neighbors slamming doors. It was just a nice place to stay for a night. 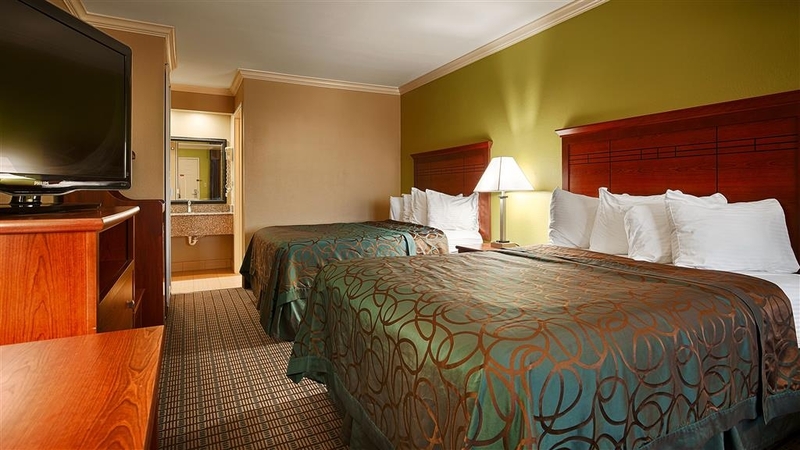 "Nice stay for a quick overnight trip"
Attend a birthday party over the weekend. Hotel close to venue. Easy to get in and out of. Did notice some traffic during the night. Hotel lobby clean could use update. Rooms clean.....beds not so comfortable. Overall stay was good for the price. "The absolute worst customer service ever!!!!" We live in Mexico and, about once a year, we travel to the States to do some shopping and hang out. We called the hotel to see if it was ok to have a few items from Amazon shipped to the hotel. They assured me it was. Upon arrival, we were told there were no packages. A few minutes after we got to our room the phone rang and we were told there were 2 packages at the desk. The packages were open and we were told the other had ?? been shipped back. We left on Monday and contacted Amazon...they said the package was not recieved by them. Now we find out that the package was there and nobody bothered to look for it. Management never talked to us about the problem. I contacted their Corporate office in Phoenix and they don't seem to care either! I just bought another water conditioner and no move Best Western. Rick, Thanks for the review. I'm so sorry your guest experience was sub-par during your stay with us at BEST WESTERN Paradise Inn. I have taken action addressing package was open and shipping back package. Please feel free to contact me in reading the issue,I want to ensure we address every need for you and other guests coming to stay with us in the future. Thank you again!! Regards, Vijay J. We had a total of 2 rooms for 4 people. Both smelled very musty. The chest of drawers in our room smelled sour. I wouldn't even put our clothes in it. We had ants in the bathroom and on the sink. They got into our toothbrushes and other items (they cleaned the sink and provided bug spray). The lamp shade between the beds had mildew (they did replace it upon request). We stayed in our room until 11 am and housekeeping was still cleaning rooms, but they never came back. We had to go to the front desk to get towels, and they said housekeeping was onsite until 2. No explanation as to why they didn't service our room. I chose this hotel because of the good reviews but now I have to wonder if they were actual customers or just employees who wrote false reviews. Don't stay here. It's awful. Decent stay. Rooms clean. Breakfast was decent. The rooms were noisy. You could hear every noise from outside and anyone staying above you. The AC unit did not have a " fan" option to leave on, so we could drown out the noise. The location was good. But I asked the woman at the front desk where a close beach was, and she said she just moved there, and didn't know. She didn't ask anyone or try to find the info for us. Overall the bed was comfortable, room was clean, ac worked great. Didn't eat the breakfast because we meet up with family that lived there in town. But parking lot spaces were full due to trucks hauling boats and trailers and the staff didn't contact them to be moved like promised. Sugar ants were found near the shower at night but were gone by morning. Told the front desk clerk and she stated that is a minor problem and pest control has came out to spray but that since it's normal because of the hotel location. Never heard that before. But overall room was nice. Spent 3 nights here starting 09/19/15. The first day, room service somehow missed our room. The night manager provided us with coffee, fresh towels soap and shampoo. The breakfast is decent and consists of hot scrambled eggs, sausage and biscuits. There is also a waffle maker and the usual cold cereal, muffins, juice etc. The bed was very comfortable (we always bring our own pillows). We saw a couple of small beetles in the room. The room was not carpeted. There is free wifi, microwave and refrigerator. 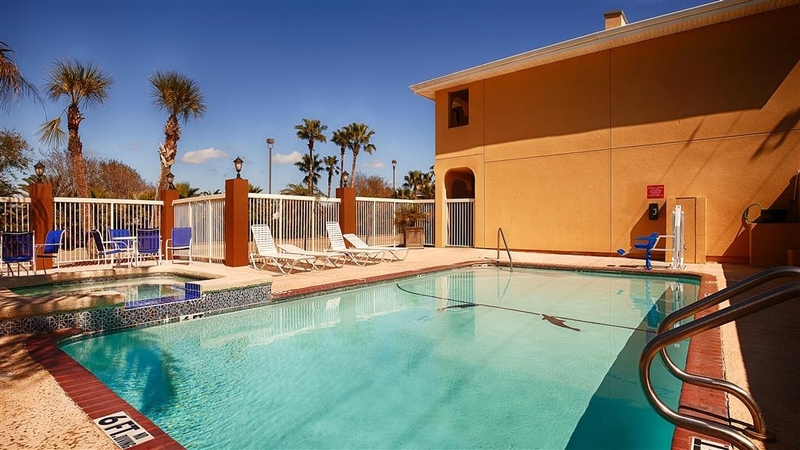 The location is decent with a relatively short drive to area attractions and beaches. We would probably stay here again. Great place to stay and clean large room. Friendly staff. I was here for the conquer the coast bike ride. The breakfast was good and it was great that it started at 6am. TV in the dining room was a little loud. I did not use the pool but it looked well maintained. Brightly lit parking lot and building. I would stay here again. I spent a couple nights in Corpus Christi and I picked this place based on past TripAdvisor reviews and photos. It turned out to be a great choice! The room was clean and maintained nicely, there were no stains or worn down furniture. The bed was comfortable, I brought my own pillow but I used 2 of theirs to prop up while watching TV and they were comfortable as well, and there was no issue with getting hot water for showers. The check in process was easy and fast, and it was the same at check out. My room key seemed to have deactivated at some point during day 2 as neither of the 2 keys they give you worked, but I just went to the front desk and they were happy to give me new room keys. 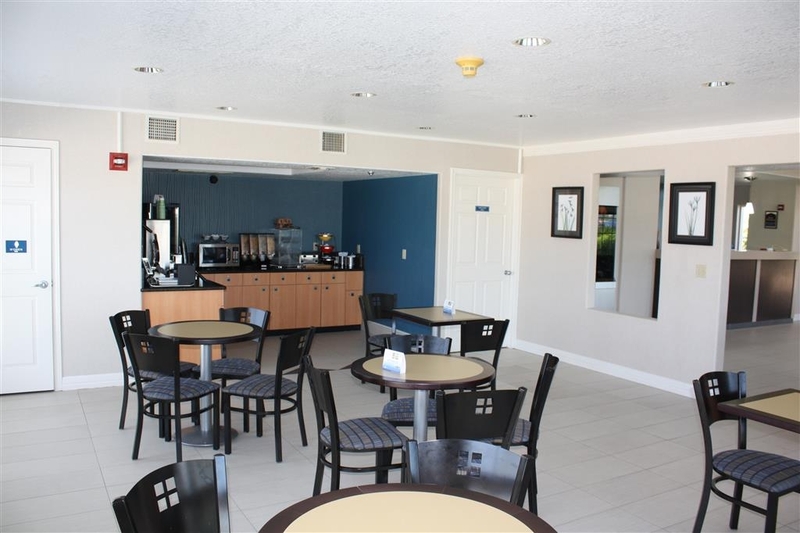 Their lobby area is very clean and looks new, their breakfast offers normal breakfast foods, but it was really good. They were in the middle of repainting the building, but the workers weren't disruptive at all and I never smelled paint in my room. The place is also very well lit at night. I traveled solo for this trip and felt safe during my entire stay. I would definitely recommend this place to anyone wanting to visit Corpus Christi or Port Aransas! I have enjoyed this Best Western, every time that we have stayed here. This is one of the few hotels that we will stay in, when coming to Corpus Christi! I highly recommend trying it out! 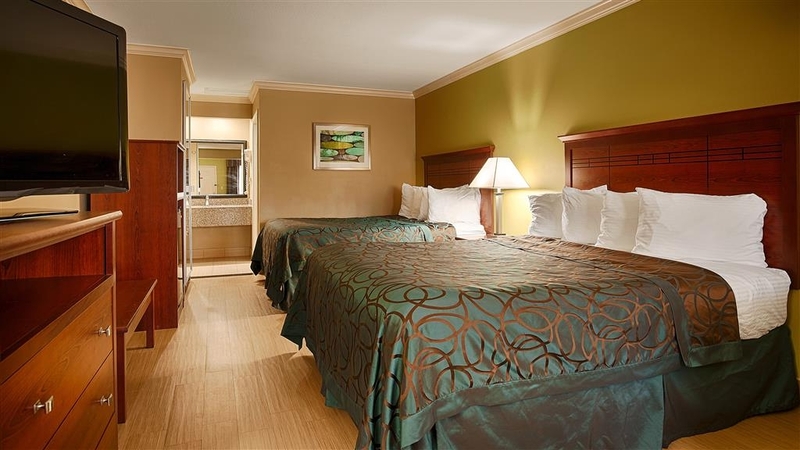 The rooms are always clean, the staff has always been friendly and the prices aren't so bad!